Our stock range is in development and will grow include a wide collection of parts, whether new old stock, remanufactured, reconditioned or used. 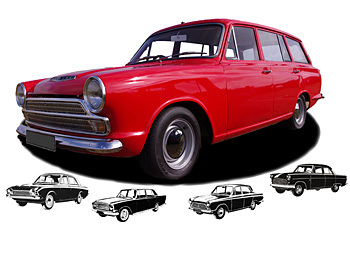 We ultimately aim to offer a similar selection of parts to that provided for the earlier Small Fords at www.smallfordspares.co.uk - including new Aquaplane products. We can already provide a comprehensive range of engine parts for the above models - please call 01684 217194 with your requirement. Our stock range includes most parts, whether new old stock, remanufactured, reconditioned or used. For non-Ford parts please visit our sister site, www.vintagecarparts.co.uk – the leading specialist suppliers of parts, fittings and accessories for the restoration and maintenance of older vehicles.